Wind Up Reel Trailer — J.T.C. Sales Inc.
Our 8000LB Hydraulic Self Winding Reel Trailer will prove its worth every day in the field. 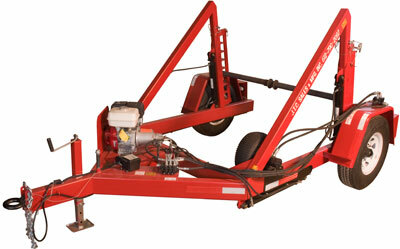 With the addition of a Hydraulic Reversing Wheel this trailer is designed to speed up your production times.